Edu Castro's men worked hard to get their win (0-4) at Caldes, a notoriously difficult place to go. A hat-trick by Pablo Álvarez and a goal by João Rodrigues gave the victory to the Blaugrana. The game started with both teams looking to attack, but a lack of precision and some great goalkeeping kept things goalless. Pablo Álvarez finally opened the scoring (0-1, min 10), and though the Blaugrana had plenty more opportunities, it would take until the 32nd minute for the second goal to arrive, again through Álvarez. 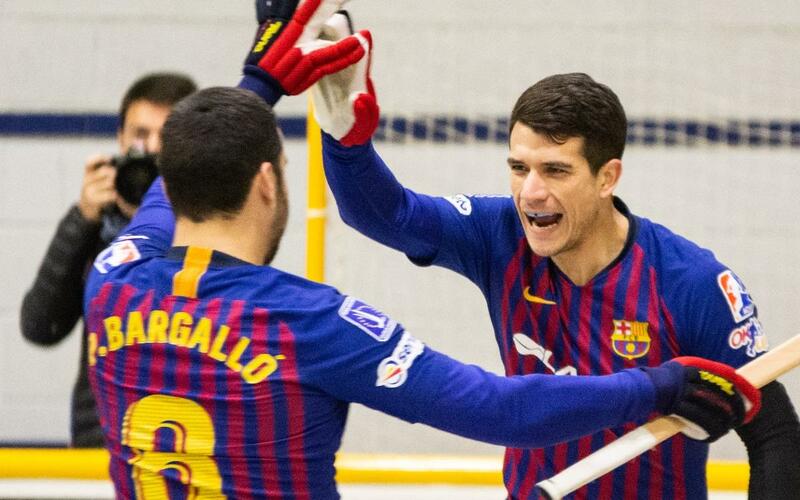 Against some fierce home pressure at the beginning of the second half, Barça managed to keep dominating, and that allowed João Rodrigues to extend the score further (0-3, min 38). With Caldes still pushing hard, Álvarez’s third goal (0-4, min 48) was the icing on the cake, the player ensuring he remains top scorer in the competition with 27. Caldes: Cesc Campor, Pol Galbas, Alexandre Acsensi, Álvaro Giménez and Xavi Rovira –Starters-, Lluis Ricart, Ferran Rosa, Alvaro Borja, Marcos Blanqué and Roger Acsensi. Barça Lassa: Sergio Fernández, Marc Gual, Pablo Álvarez, Pau Bargalló and Sergi Panadero –starters-, Matias Pascual, Nil Roca, Ignacio Alabart and João Rodrigues. Goals: 0-1, Pablo Álvarez (min 10); 0-2, Pablo Álvarez (min 32); 0-3, João Rodrigues (min 38); 0-4, Pablo Álvarez (min 48). Officials: Antonio Gomez and Joel Garcia.